Jacob is going on tour! 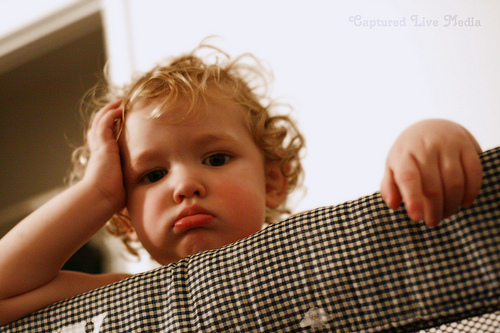 Jacob stood staring at the pile of clothes and the empty suitcase on his bed. He scratched his head and then looked up at Ellen. ‘You have to have some standards,’ said Ellen. ‘Apart from you, Ell, of course,’ Luca said quickly. ‘Seriously,’ Jacob said as he stuffed a sweatshirt into the case, ‘you know you give all males a bad name?’ He glanced at Ellen. ‘He’s got a point,’ Jacob said. Luca thought for a moment and his expression clouded. ‘You don’t think Sharon heard me say that, do you?’ He looked up at the ceiling as if I might be hiding in there. ‘Of course she did, you douche, she’s making you say it!’ Ellen replied. ‘It’s not a new concept, Luca,’ Ellen said drily. Luca gave a confused frown. ‘God!’ Ellen said, her voice rising in exasperation. ‘Where are we staying, anyway?’ Luca asked trying not to snigger now. ‘Are there any in New Zealand?’ Luca asked with a wink. ‘I don’t snore,’ Jacob said sniffing at a trainer before deciding to throw it into the case. ‘Astraen water buffalos aren’t so noisy, they sort of squeak, really,’ Jacob answered thoughtfully. ‘Shut it, Valvona, we don’t all want to parade around in a black thong for the whole two weeks,’ Jacob said. ‘You’re just jealous because you could never pull off a black thong,’ Luca fired back. ‘Is she good looking,’ Luca interrupted. ‘Are there going to be many more of these?’ Luca cut in. ‘Cool, sounds like fun,’ Luca said. I’ve recently seen two separate blog posts about spoilers in reviews (check out both excellent sites, Liz Loves Books and Between the Lines) and many other tweets/Facebook comments. It started up a Twitter conversation of my own with fellow authors and we got to the point of how difficult it is for the author themselves not to spoil when writing a book series. This was a problem I wrestled with for some time when writing the blurbs for The Young Moon and Not of Our Sky, which follow on directly from Sky Song. While it was difficult enough to write a blurb and talk about The Young Moon in interviews, it was particularly problematic when it came to Not of Our Sky. In the final book, almost everything that happens is as a direct result of what happens in the final chapter of The Young Moon, and without referring to that, it was pretty much impossible to give any indication of the story. The other side of this issue is that I want to give some information, and it has to be enough to hint at something that will tempt the reader to come back to books two and three. I’ve read one or two reviews of the follow-on books to Sky Song, and some give away more than others. While this makes me a little nervous, I completely understand how difficult it is to comment in any meaningful way without referring to events that might be viewed as spoilers. It’s a tough call when you have to decide how much information is too much. I can also see why potential readers would be put off by spoilers. I can’t tell you how angry I was Christmas 2010 when the Radio Times gave away the series finale of Merlin by printing the teaser before the penultimate episode had aired! As usual, everything comes back to Merlin! It’s not like I’m obsessed or anything. But the question remains: When it comes to series sequels, how much is too much? What are your thoughts? As the deadline gets closer for the release of The Young Moon and I’m still behind on promo for Sky Song, I’m beginning to wonder if I’m actually normal in the head. I look at my kids like I don’t know who they are, I put food in the oven that emerges four hours later as an unrecognisable husk, I wash dishes in shampoo, I go shopping in odd shoes. In short, I’m lost in a world where real people have been replaced by book characters. But I don’t mind admitting that, despite all this, I’m having the time of my life. The decision to self-publish was a long time coming, and part of me thought that it would make me feel like a failure for not having a proper deal (although I was lucky enough to land one for Runners shortly afterwards) but the opposite turned out to be true. Instead of feeling like a failure, right now, I feel like captain of my own ship. I call the shots – I decide what I write, what my deadlines are, how I market my wares. At the moment people seem to like what I do and the feedback is good, I’m productive and full of new ideas. I may not always feel this way, and it doesn’t mean that I wouldn’t still love an agent, but, after years of hiding my stories away, it seems like my writing career has finally begun. This year is already mapped out in terms of releases, until September at the very least, and possibly beyond. And even if no one is reading them, I’m having a ball writing them! 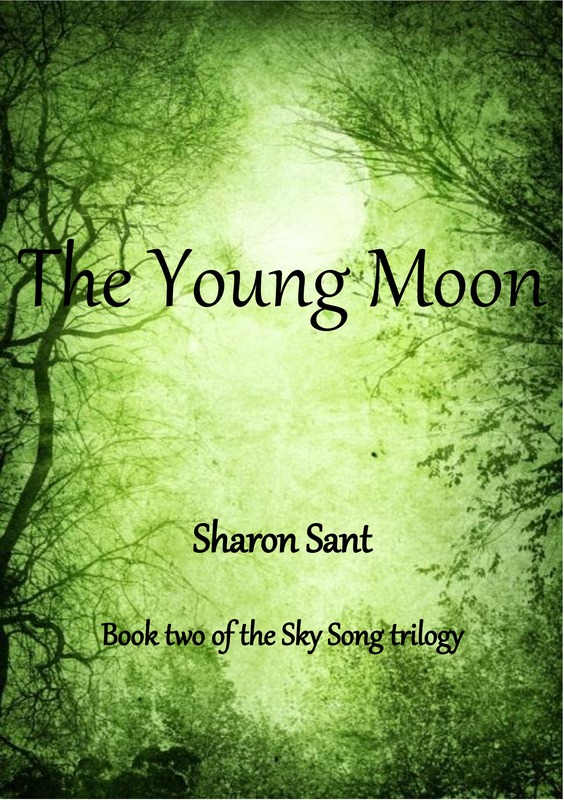 The Young Moon is the second book of the Sky Song trilogy, due to be released for Kindle 8th March 2013. I’ve been tagged in the next big thing blog hop by the surreally hilarious Laurence Donaghy. 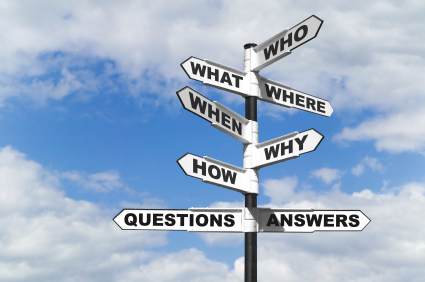 I have the same list of questions that I have to provide entertaining answers to and then I tag two writerly friends. Oh well, here goes internet oblivion…. It’s called ‘the one where Sharon’s writing fairy locks away her Merlin DVDs and uninstalls the youtube app from her phone and ties her to a chair until some words come out’. Maybe that’s a bit longwinded, though. We’ll go for The Young Moon instead. It’s the second of the Sky Song trilogy. As it’s a sequel, I suppose I have to say that the idea came from the first book! At the end of Sky Song, we left Jacob **Sound of a truck roaring past** so, The Young Moon picks up two years on from there. There was always going to be three books and each one continues the overall story arc. Sky Song was as much about Jacob’s dilemma over his life choices as it was about his battle with the bad guy. In The Young Moon there’s a whole bunch of different dilemmas around loyalties and who gets to choose who lives and who dies. Jacob gets faced with some really tough decisions and quite often has to deal with the consequences of making the wrong ones. If you wanted to be pedantic you could call it Young Adult fantasy. But there is a feel of realism about it, and I’m very influenced by magical realist works, so I suppose, in that sense, it’s not fantasy in the way most would think of that genre. There are actually a couple of my favourite TV shows that you could probably point to and say ‘like that.’ If you look at something like Life on Mars or Misfits, outwardly, the setting is very ordinary and mundane, but something extraordinary is happening just beneath the surface. I think that Jacob’s story is like that. This is where I come undone. Colin Morgan’s face just pops up every time – not because he looks remotely like any of the characters, but just because I’d make sure I was on set every day! This is a tricky question, though, because the main characters are all teenagers so the actors young enough to play them would probably be fairly unknown. I think for Jacob’s best friend, Luca, Jonathan Bailey (from CBBC’s Leonardo) would be pretty cool. For Jacob, I could really see Jeremy Sumpter looking right, although he may be a little old now as I’m still remembering him like he was in Peter Pan. Maybe someone similar. But if Colin Morgan would dye his hair blonde then he’d be a definite Jacob! Actually, for Ellen, someone who looks sort of like Katie McGrath would be good, only she’d have to look seventeen (sorry Katie!). Luckily I’m not a casting executive – my requirements would be pretty vague! 6. Will your book be self-published or represented by an agent? Sky Song is self-published so The Young Moon will follow suit. Unless some miracle occurs between now and March and an agent takes me on. What’s that you say? More chance of hitching a lift in the Tardis? To be honest, though, I’m quite enjoying self-publishing at the moment – it can offer a lot of freedom to a jobbing writer like me in terms of deadlines and creative decisions. 7. How long did it take to write the first draft of your manuscript? If I have a good run at it, a first draft can take maybe 5 or 6 weeks. I don’t exactly remember how long The Young Moon took but I’d say it was around that. It’s the editing and fine tuning that takes a lot more time than that. 8. What other books would you compare this story to within the genre? I genuinely can’t think of anything like it. That’s not me showing off my originality, it’s me showing off how woefully unread I am lately! There are lots of books that tackle ‘chosen ones’ with great destinies, but I don’t know any of them that do it in such a domestic setting with so much emphasis on the emotional impact of that. The only one I can think of that deals with it any similar way is Harry Potter, but Jacob’s story is nothing like Harry’s other than he does have a destiny that he can’t escape. Oh dear. I have to say, again, that the first book inspired this book! Sky Song came to me as a vague idea about a little girl whose father watched the skies every night. She wondered why and it took her a few years to figure out that he was watching for someone, rather than something. The little girl turned into a teenage boy and the thing that came from the stars was his destiny. Then I started to think that if someone just pitched up at my door when I thought I had my life worked out and landed me with a destiny I hadn’t asked for, how would I react? That’s pretty much the heart of Jacob’s dilemma. It features hot teenage boys. Am I allowed to say that? Oh… erm, then it has a very important message about friendship and… oh hell, who am I kidding, hot teenage boys is my USP! Emma Adams is 21-year-old author of THE PUPPET SPELL, a quirky YA fantasy published by Rowanvale Books. She is currently studying English Literature with Creative Writing at LancasterUniversity whilst writing the sequel and also working on the creepy paranormal Darkworld series. Check out her blog about her writing journey, where she posts weekly updates and writing tips, and also regular book reviews and features. Look out for their Next Big Thing Q&As next week. Another milestone in my self publishing adventure. It’s been almost two weeks since I released Sky Song to an unsuspecting public. When I say public, of course, I have my tongue firmly in my cheek. It has been a low key affair – I just stick the odd tweet out now and again and badger my friends and family. I don’t have the knowledge to do a decent job of organising blog tours or reviews and whatnot but I’ve been bumbling along doing my best with it. But the overwhelmingly positive response has made my little face glow. It’s a funny feeling, offering up the darkest corners of your imagination for all to see. I noticed on Goodreads that someone in India is reading it. That was a very strange notion, that someone across the world in a completely different culture, someone who doesn’t know me, owes me no allegiance or has no reason to consider my feelings, someone who simply reads and judges, is looking at the thing that I spent hours lovingly creating and doing just that. I love the idea that people I don’t know are entering the world I made – after all, that was what I’ve always said I wanted as writer – but at the same time it’s strangely terrifying. It opens you up in a way that makes you feel naked and vulnerable, like your soul is up for inspection. Closer to home I’ve had wonderful support from friends – writers and otherwise –and from people I’ve never met apart from in the Twittersphere. Offers of help and encouragement have come from the most unlikely places, as have opportunities. Another thing that has struck me is how the people I naturally assumed would buy a copy haven’t, but people that I never expected to have bought one, read it and given me wonderful feedback. All it takes these days is a couple of lines from an old uni classmate on facebook to reduce me to tears (good ones, I hasten to add). I know the backlash will come, I know that we all get one star reviews, but for now, the ones I’ve had I stare at lovingly for hours. Right now, I feel humble, but I don’t feel the need to be falsely modest about the work I’ve put in on this trilogy. People who know me will know that I’ve been writing them for years while trying to hold another life together, that I’ve stayed up all hours of the night and ignored family members when an idea had to be worked through. I’m not saying that no other writers do this – I know they do. What I’m saying is let us have our little moment in the sun. Because we’ve earned it. Thank you to everyone who has helped, supported, encouraged and downloaded. One day I hope I can repay your kindness. And roll on book two! P.S. After all that, I’m off to watch re-runs of Merlin. You may remember me introducing Luca, my little Italian stud-muffin. Well, now it’s time to meet Jacob and Ellen. It’s taken six long years to get here. And there were times when I seriously doubted that Jacob and his friends would make it off my hard drive. But, finally, this weekend, I gave them their freedom and they sailed out into the world. Sky Song started off as a little tale about a young girl whose dad watched the skies every night for something. The little girl didn’t know what but it soon became clear to her that whatever it was he searched for, it was something that didn’t belong to the world she knew. As I worked the story out in my head, the little girl became an older boy named Jacob and the thing that came from the skies became an unexpected destiny. I’m always fascinated by the thought processes that make a plot and, looking back, the ones that got me to this point must have made some pretty amazing leaps! Despite the fact that Jacob came from my head, I find him a difficult character to sum up. He’s an academic high flyer, though he doesn’t want to be. He’s attractive in his own quirky way, though he doesn’t really know how to deal with the attention that it brings. Aware that he is one of life’s outsiders, all he really wants is to fit in. He has grown up not really knowing who he is. So when his destiny is sprung on him one fateful night, all these things suddenly start to make sense. Once I had Jacob and Luca I knew I needed a girl to stir up trouble. So along came Ellen. With a tougher upbringing than either Jacob or Luca, Ellen is the anchor of the trio. She’s grounded, nurturing, loyal, perceptive, intuitive and unfailingly optimistic. When there is chaos (and where Jacob and Luca are concerned there usually is) Ellen is the one who cuts through it to the truth. But sometimes she lets her heart rule her head and it gets her into trouble. This time last year I had given up on ever writing for a living. Almost six years had passed since I completed my first novel and three years since I graduated from Staffs Uni with a first in English and creative writing. I had spent a good many months of those bright, hopeful years trying to find an agent and get work published. I had some small successes – no less pleasing for their humbleness, I hasten to add – but as a viable career option, my writing was going nowhere. I continued to edit and enjoyed that, but knowing that the books I worked on were going into print and mine weren’t was a little depressing. And, I think, if many editors were completely honest, editing stories, despite being a worthy and necessary pursuit, is a small substitute for writing your own. As time went by I continued to tinker about on my laptop penning the odd tale, but it became more about my own enjoyment than the notion that it might be for anyone else’s. Resigned to my desk job, I started 2012 with other objectives on the horizon. In March I ran the Stafford half-marathon. When I say ran, what I really mean is hobbled and almost collapsed at mile twelve. We had fundraising to do for my niece, Katie, who has cerebral palsy, to raise £60,000 for an operation in America that would help her to walk and my three brothers and I all agreed to run. It was a family show of solidarity and love for Katie and there was no way I was going to miss it. Most people who know me, however, will freely admit that they thought I wouldn’t even complete half of it. I’m overweight, middle aged, the furthest I had ever run before was three miles and that was two years previously. Since then I had done very little regular exercise. I had three months’ warning and not enough training sessions. But one thing that anyone who truly knows me will tell you – for me, there’s no greater drive to succeed than everyone telling me I will fail. I did it in just under two and a half hours, the maximum time they keep the course open for. To this day, I honestly can’t remember anything about the final mile apart from the finish line that kept moving further and further away. My reward was best McDonald’s milkshake ever and not being able to walk after I’d done. The rest of the summer we packed bags in supermarkets, did bake sales and car boots, braving the regular weekend rain and called-off events, and eventually, by August, Katie was on her way. Earlier in the year, I’d had an email asking if I’d like to contribute to the debut publication of a creative writing magazine called Indent. I sent a story in called ‘What Billy Saw’ and was thrilled to see it finally appear in print in July. I hadn’t expected the email and I certainly hadn’t expected them to print the story. I don’t really know why, I think I had just spent so long in a literary limbo that all ambition in that field had left me. But it is tiny events that can sometimes change the path of your life, and looking back, this may have been one of them. Newly charged and ready to dust off my laptop again, August saw me at a barbecue at the house of one of my uni lecturers. The conversation turned to PhD study and teaching and why I was doing neither of these things considering my BA grades. I had always wanted to continue into post grad education, but money had always been an issue. As the drink flowed money suddenly seemed less and less important and I left the gathering drunkenly tripping over my maxi-dress and promising to apply. Which I did, and now I am a very happy (but poor) post grad student, able to pass on my knowledge to undergraduates and with the best creative writing teachers and fellow students I could wish for. Remember that first novel I wrote all those years ago? Weeks after the fateful barbecue I landed a deal to publish it. Another moment of random chance from a conversation with Storm Constantine of Immanion Press. I had done a lot of editing work for Storm over the years and we were talking about her new foray into YA fiction. Storm knew I also wrote my own fiction but her area had always been adult fiction and mine YA and children so, although she had read some of my work and liked it, she was never able to offer me a contract before. But a mutual friend had told her how much she had enjoyed reading my novel, Runners, and Storm wanted to know would I like to publish on her new imprint? We expect Runners to be ready for an April release. Did someone say random chance? Because it didn’t stop there. My husband happened to pass me a newspaper one Sunday morning because there was an article I might be interested in. Usually, I put the paper down, go and do something else, and then promptly forget about the article until it goes into the recycling. But just this once, I picked it up and read about another writer from Stoke who lived literally a mile away from me. How had I not known about this lady? I tracked her down on facebook and decided to get in touch – writing is a lonely business, as anyone who does it will tell you, and the more friends you can share it with, who really get it, the better. It is true to say that I have made, and continue to make, the most incredible friendships through writing; friendships that I sincerely hope will stand the test of time. And this one turned out to be no exception. We met and hit it off straight away and I’m so proud to be able to witness her current success. It is true to say that her perseverance in the face of many years of rejection has inspired me to keep going now, whatever happens. 2013 will be all about kindle too. Sky Song, the first book of The Sky Song trilogy (which was planned for December 2012 release, but I’m terribly disorganised) is due for release January 2013, hopefully followed by the second two: The Young Moon and Not of Our Sky in February and April. It’s been a gloriously busy year. And I can only hope 2013 is as random as 2012 was.